GenderAvenger is dedicated exclusively to ensuring that women are always part of the public dialog. 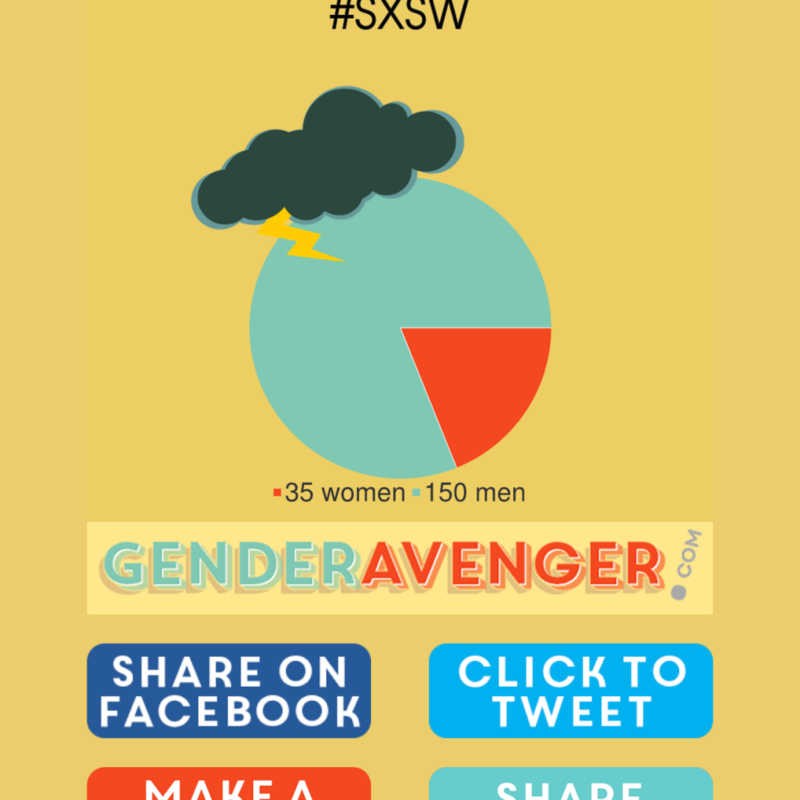 The Gender Avenger Tally allows users to create pie charts displaying gender balance at events, on lists, at festivals, etc. and to instantly reveal results on Facebook and Twitter. 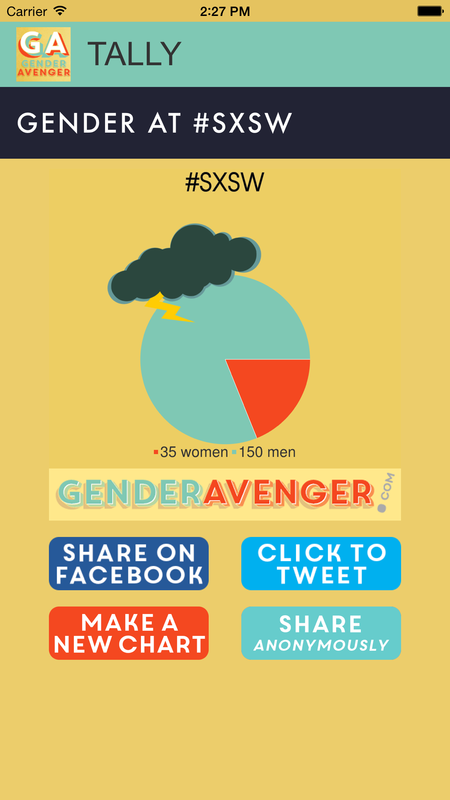 Users can remain anonymous by asking GenderAvenger to share results. I started participating in the GA Tally project to help refine the code base and get it ready for a more serious launch. The idea has always been simple: make it easy for folks to visualize gender disparity at events, in lists, and in the media. The service is built in NodeJS and uses Google Charts to generate pie graphs based on the input of the user. For my part I helped clean up the interfaces, add some core functionality, and bring it to the iOS and Android app stores. I’m also helping the Gender Avenger team think through their technology strategy. At first I was skeptical that the problem of gender inequality could be universally solved in one swoop with a pie chart app. I couldn’t have been more wrong!